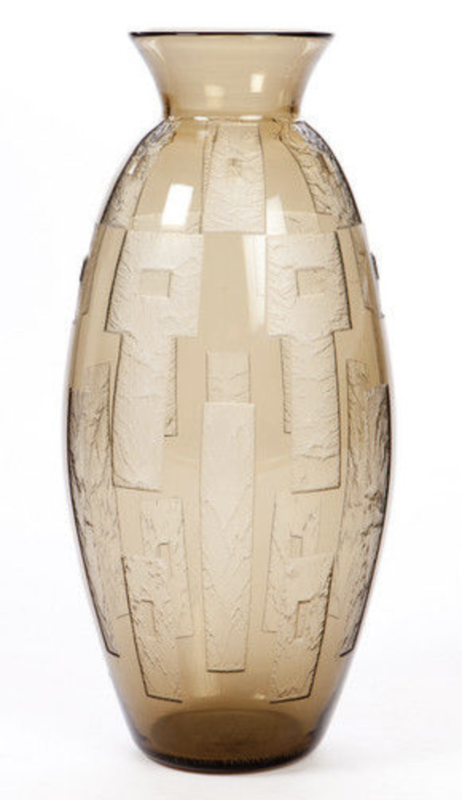 Very large ovoid art deco vase with an acid etched geometrical decoration of squares and rectangles. Beautiful harmonious shape. I imagine you could put an enormous bouquet of flowers in this vase and it would be stunning.